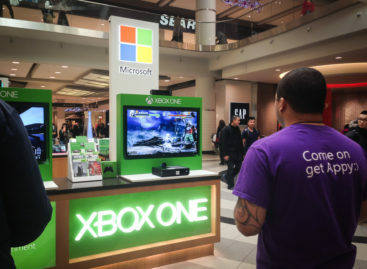 Nokia Lumia users will have a new reason to love their smartphones, as the phone maker announces a partnership with on-demand deals company Groupon. 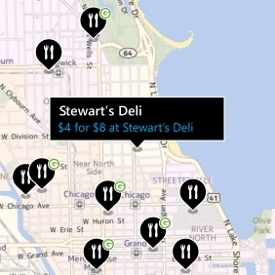 Nokia releases its Nokia Maps 2.5 app, which is now integrated with Groupon Now!. The new service provides limited-time offers from local establishments such as restaurants, stores, and service providers that can be located directly in the map. Scouring for deals is easy. As the user searches using Nokia Maps, the trademark Groupon green G will reveal relevant deals apart from other search results. Tapping the icon would yield a description of the offer and a link to the Groupon mobile site to purchase the coupon. The app will also provide advanced route planning, allowing you to navigate from your place to the discount location by car, with public transit, or on foot. The new version of Nokia Maps is now available at the Windows Market. However, it is only currently available in the United States and works for Nokia Lumia 610, 710, 800, and 900.